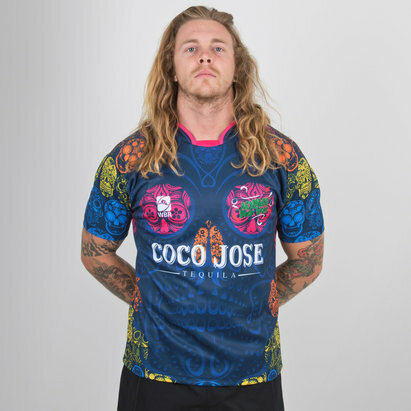 A shirt that is sure to make you stand out in a crowd, pull on this World Beach Rugby Godfathers 2018/19 Home S/S Rugby Shirt in Black. 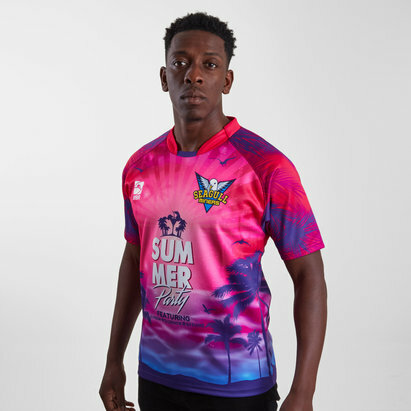 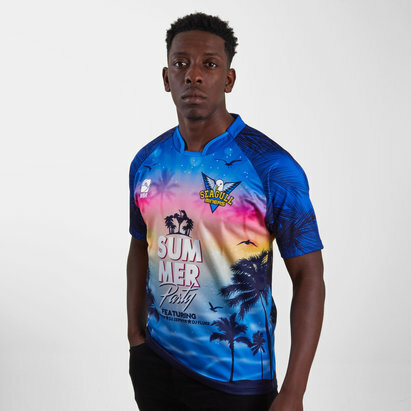 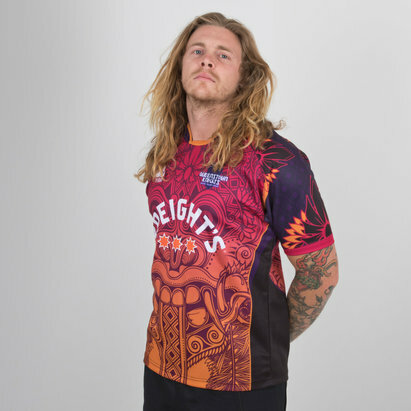 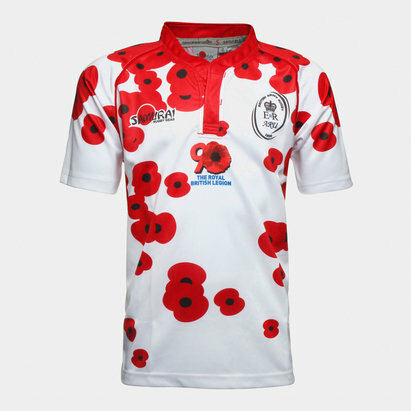 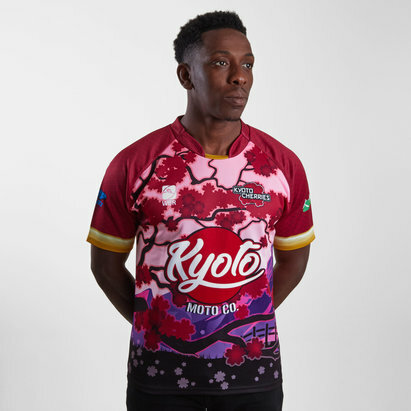 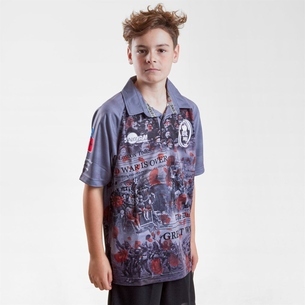 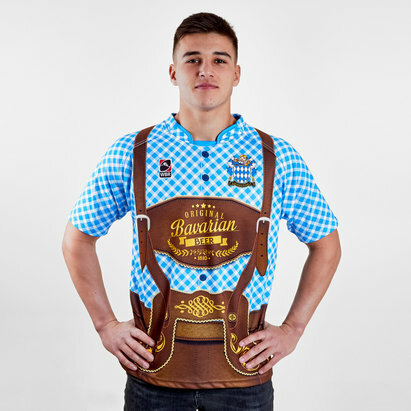 This shirt from World Beach Rugby comes made from 100% polyester with all the logos and sponsors sublimated into the vest to avoid irritation whilst wearing. 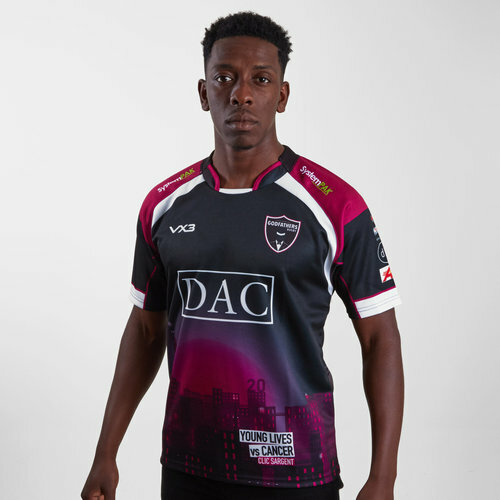 This jersey is predominantly black and features pink and red colours. 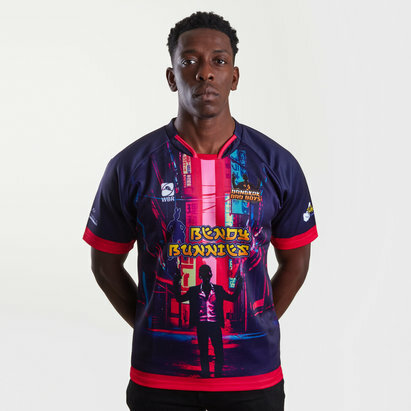 The design on the shirt is of a man in a suit with a rugby ball signifying gangsters, inspiration taken from the film Godfather. 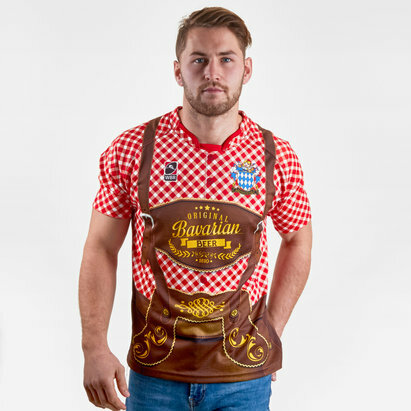 With a round neckline for additional comfort, this classic vest will make sure you don't go unnoticed in this World Beach Rugby Godfathers 2018/19 Home Rugby Shirt.